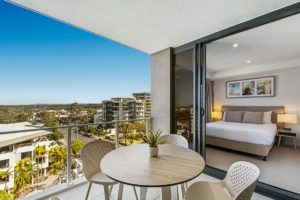 There are so many things to see and do in Mooloolaba making it the perfect holiday destination with Breeze Mooloolaba the ideal choice for holiday accommodation in Mooloolaba. With its clean, white sand, azure waters and small waves Mooloolaba Beach is a family favourite. Relax, make sandcastles, swim, body surf or learn to surf, this stretch of picturesque beach is a great way to enjoy the holidays. Don’t forget to slip, slop, slap and swim between the flags for a safe holiday. Wander the esplanade, here you will find a great range of coffee shops, cafes and restaurants or shop till you drop with a variety of boutiques selling both local and international fashion. A holiday in Mooloolaba is not quite complete until you visit one of the local surf clubs for a quiet drink or easy meal. Mooloolaba boasts one of the best surf clubs in Queensland with a stunning location, fabulous views. Enjoy a cold drink or enjoy lunch or dinner with the Boathouse Restaurant always serving up something hot and delicious. The perfect place to enjoy a long lunch or drink on the deck whilst on holidays. Select from spacious, modern and fully furnished one and two bedroom apartments with either ocean or hinterland outlooks. All apartments feature well equipped kitchens with European appliances and stone bench tops. 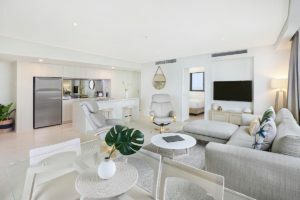 With each apartment at this Mooloolaba accommodation being allocated the optimal amount of balcony space you will appreciate the light and airy feel of these luxury apartments. 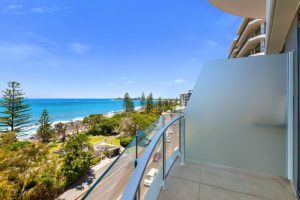 Mooloolaba on the Sunshine Coast and Breeze Mooloolaba are the perfect combination for your next holiday. Ring us today to book your holiday accommodation in Mooloolaba…you won’t be sorry.